Hi everyone, and Happy Valentine's Day! You know, last week I tried and tried to create a few more Valentines, and all I wound up with is a pile of abandoned projects and a messy desk. Nothing was cooperating. Don't you just hate when that happens? I finally found my mojo over the weekend and came up with this card, which I think is good for either a Valentine or a friendship card. 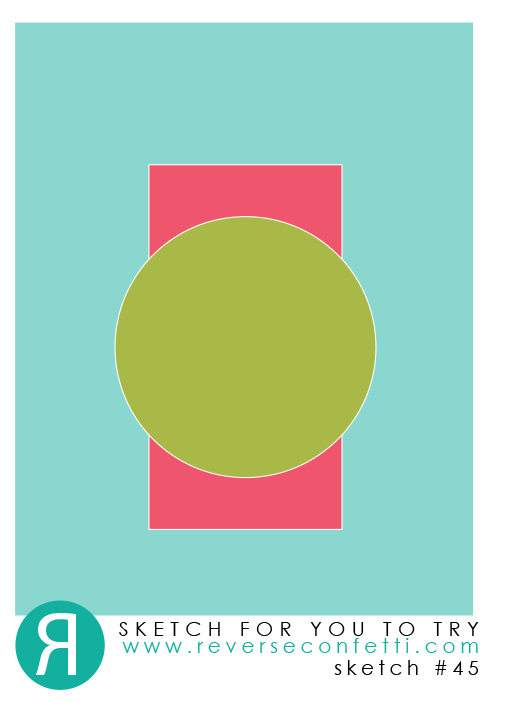 The colors were inspired by the paper stack, and the layout is from Reverse Confetti. I hope you can see the sketch; my circle element was obviously the wreath and the cup is the vertical element, though it's on top instead of beneath. 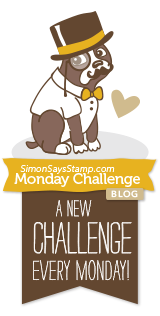 The Simon Says Stamp Monday Challenge is to use your favorite tool, which is definitely my Big Shot! Thanks for stopping by and I hope you'll leave a comment! Oh yes! Love makes me want a coffee! What a fun card! I love the way you used the wreath dye behind the coffee cup. So pretty. Thanks for joining us on the Simon Says Stamp Monday Challenge. I love coffee and this card just makes me happy! I adore this card! So I pinned it! HUGS! This is so much fun! Gotta love a coffee themed card! Love your card and the papers/colors. I love that heavenly halo behind your coffee.. a lifesaver!! :) LOL! !